Over-all place: Modern and best for Fine Dining too. Very cozy. Cebu Food Blogger: To all my fellow readers and foodies online, I have a special treat for you courtesy of Cebu City Marriott. It could be that you have stumbled to this blog post, or GOOGLE brought you here, or Facebook referred you in, or could be you had a massage and spa experience and you got a surprise to have a good treat for your tummy! Whatever it is, consider yourself as LUCKY! Below are the basic amenities and comfort lounges of Cebu City Marriott where you can avail a special discounted rate because you read this blog. Again, because you are reading this BLOG POST! Let me call it a Special Blogger Rate that I can pass on to you! Yes, I'm that CONFIDENT to give you a discount. All you need is SHOW this blog post before asking your "bill" when you dine. Find out what are these special discounts that you can enjoy as my reader. Please note, this offering is only valid until March 31, 2017. 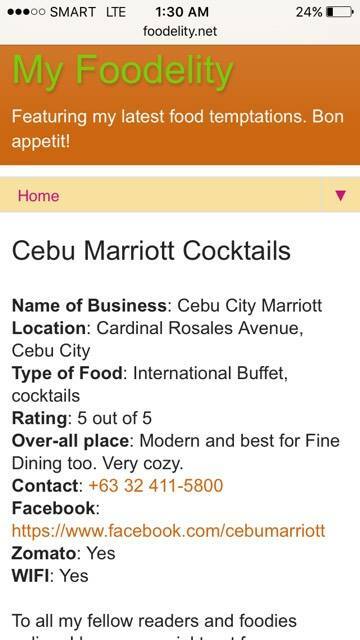 So put that in mind and schedule a visit to Cebu Marriott as early as NOW! I highly recommend to try their cocktail of the month at the Palm lounge. 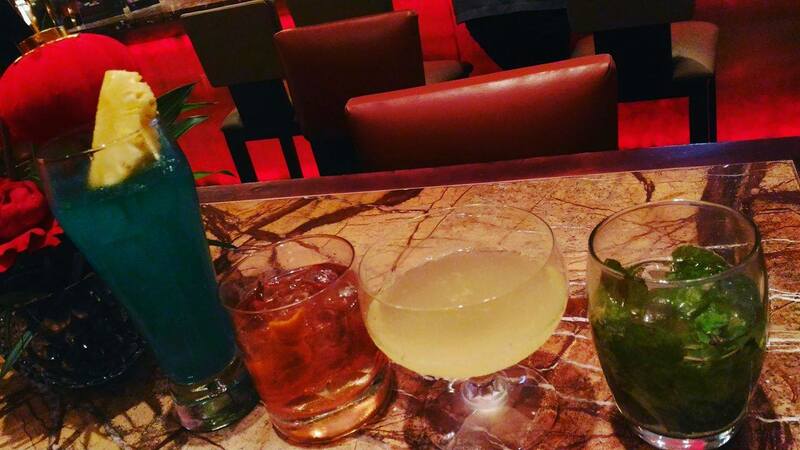 You may also want to have yourself some booze for the night either of your favorite MOJITO (white rum), or DAIQUIRI (white rum and lime juice), or try their Bacardi Old Fashioned (aged rum) if you want something strong. 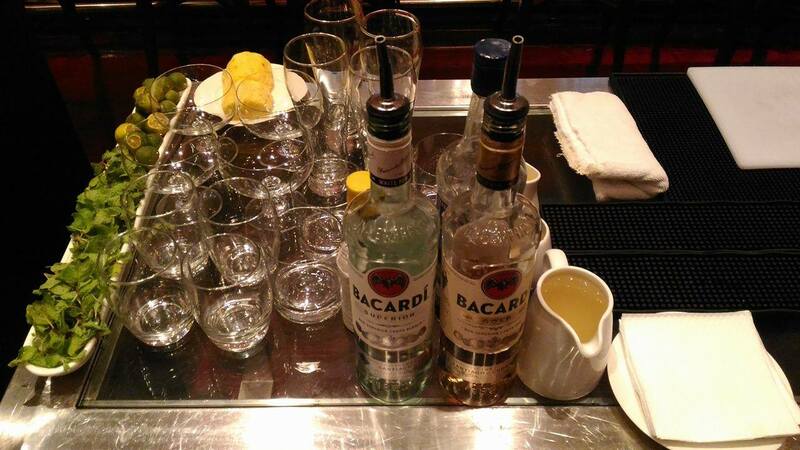 But for a flirtatious kick while killing time, try their Long Glass (concoction of pineapple and white rum) cocktail. Here's something you can use or it will look like this on your mobile phones. Those are some delicious thai delicacies. Just looking at the starters make me full!! but was really looking forward to some good deserts!! !